Perched on a cliff of tuff more than 800 meters above sea level, between the broad Bradano river valley and the Fiumarella stream, it is truly the “caelsae nidum Acherontiae”, the “eagle’s nest of Acerenza” described by the Latin poet Horace, born in nearby Venosa. 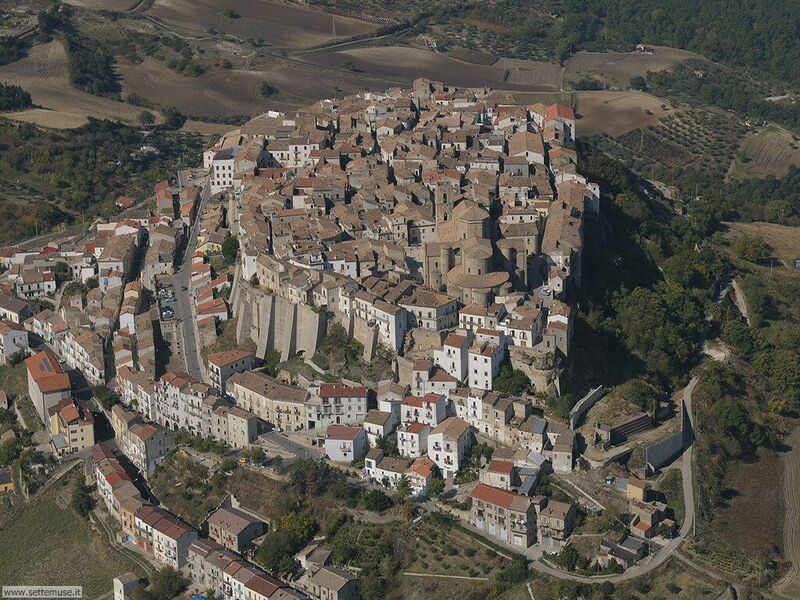 The layout of the town is that of the typical medieval walled village. 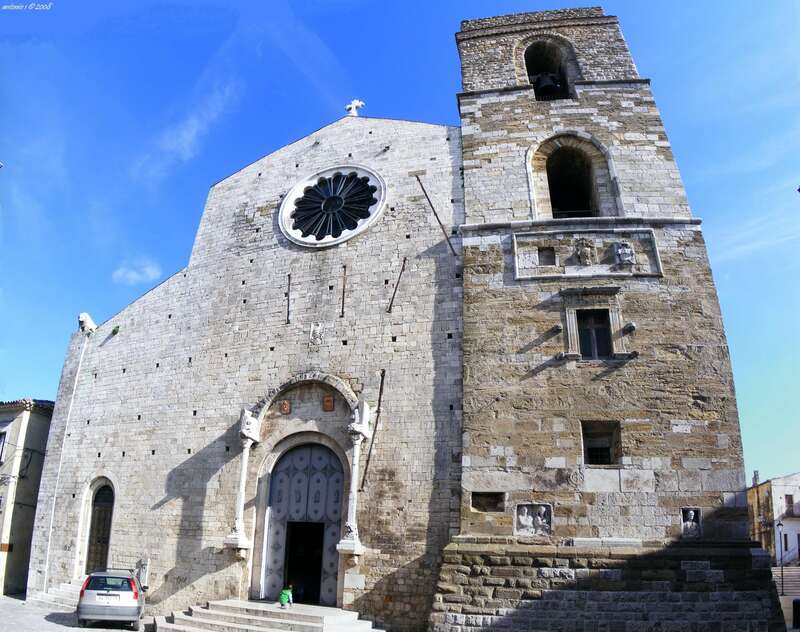 To those arriving from Puglie, Acerenza shows its north eastern side in all its imposing compactness, highlighting the rear complex of the Cathedral, harmonizing with the urban fabric and with the uniform building materials and color of the façades and roofs. 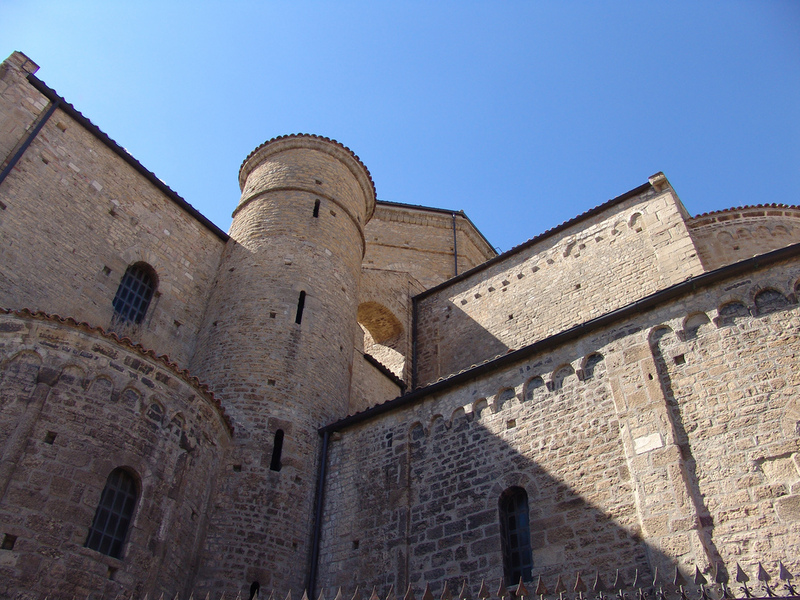 The imposing 11th century Cathedral, in a Romanesque Cluniacensian style and dedicated to Our Lady of the Assumption and St. Canio, towers above the rest of the village skyline.